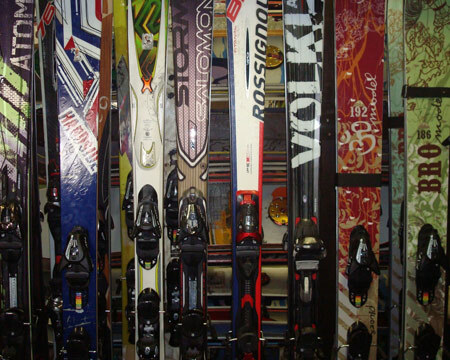 We offer performance, shaped, and demo skis by: Rossignol, K2, Salomon, Atomic, Fischer, BRO and Volkl. We offer snowboards by: Rossignol and Atomic. We offer quality ski and snowboard equipment custom fitted for the beginner or expert. We carry a complete line of Performance Skis, Boots, Clothing, X-Country, Snowboards & Children’s Equipment. After you’ve rented from us once, simply telephone ahead to reserve your equipment! We keep individual records on your entire family. Don’t forget to visit our Coupon page for great savings!